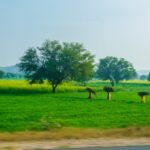 Pardon me for confusing you, well it is true that it is the North Indian Punjab that is famous for the Golden Mustard Fields or Sarson Ke Khet of Punjab. Countless movies and songs ( think DDLJ to begin with ) have shown the beauty of these Sarson Ke Khet. But Sarson or Mustard is an important cash crop in many states in India and I have been fortunate to click them in Punjab, Himachal, Uttrakhand, Uttar Pradesh, Rajasthan and now latest in Majuli Island Assam which is featured on the October 2017 Calendar Desktop Wallpaper. We were in Majuli and were on our way to click photographs of some paddy harvest. But when we reached the fields we realized that the paddy fields are actually surrounded by Mustard fields and they were in full bloom. On checking with the farmers it turned out that they rotate the crops and never sow the same crop in all the land they own, kind of a hedging against vagaries of nature. A smart strategy I would say. I know that this is a bit early for showcasing the Sarson Ke Khet as the bloom time is from mid-December onwards depending on the local season and how north you are. But I thought I will give you a heads up that the blooming season for Sarson is approaching and you should plan your trips to click the Sarson Ke Khet. What do you say? 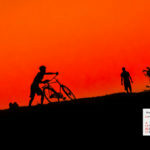 I love to take road trips and make unplanned stops to click the life and times in Middle India. For most cases, you don’t have to travel very far from any major cities. Even just 50 KM outside of Delhi and Bombay the landscape totally changes and you can still see people living off the land and cattle they own. Winters are perfect times to go on road trips in India and hopefully I will go on a few in the coming months. 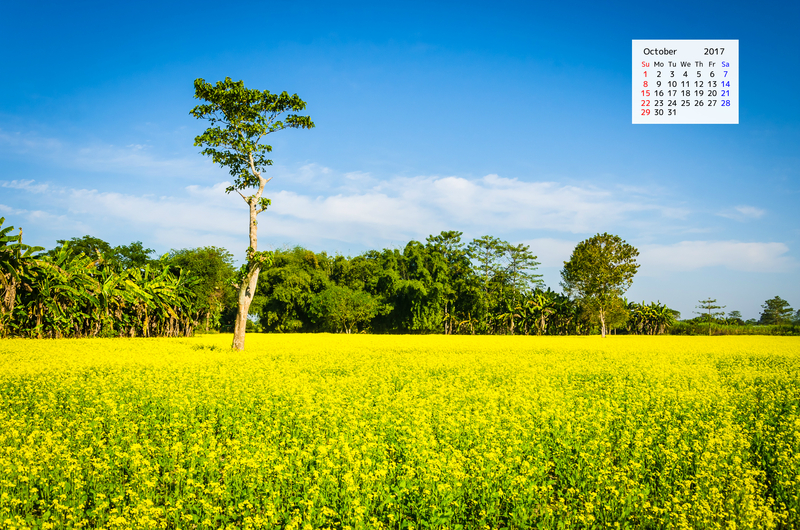 With that dear reader let me share with you the October 2017 Desktop Wallpaper Calendar that showcases the Mustard Fields clicked in the magical island of Majuli in the middle of mighty Brahmaputra River in Assam. You are welcome to download, print and share further the high-resolution copy of the October 2017 Calendar Desktop Wallpaper. As always the absolutely free October 2017 Calendar is available in 3 sizes- 2100 px, 1600 px and 1024 px. 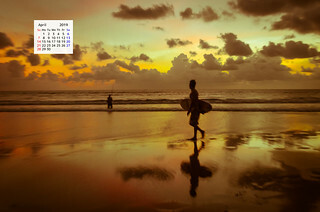 How to download your free October 2017 Calendar Desktop Wallpaper? Well, all you need to do is right-click on any of the calendar download links above and save the calendar on your machine. 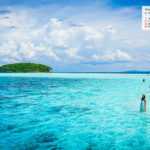 It is a large 300 dpi file that can even be printed in a large size if you want to make a large poster also. I hope you liked the picture I have shared for the October 2017 Calendar Desktop Wallpaper. Wishing you a great October and onset of the festive season. Happy travels. One of my favorite pic from Majuli 🙂 Loved the wallpaper.